VIZ Media Announces New Manga from the Creator of "Vampire Knight"
San Francisco, CA – VIZ Media, LLC (VIZ Media), the largest distributor, publisher and licensor of manga and anime in North America, announces the launch of famed creator Matsuri Hino’s new manga (graphic novel) series, SHURIKEN AND PLEATS, on March 1st, 2016. SHURIKEN AND PLEATS, the story of a schoolgirl who’s also a ninja in modern-day Japan, is the latest title from Hino, who created the pivotal shojo series, VAMPIRE KNIGHT (also published by VIZ Media; rated ‘T+’ for Teens). 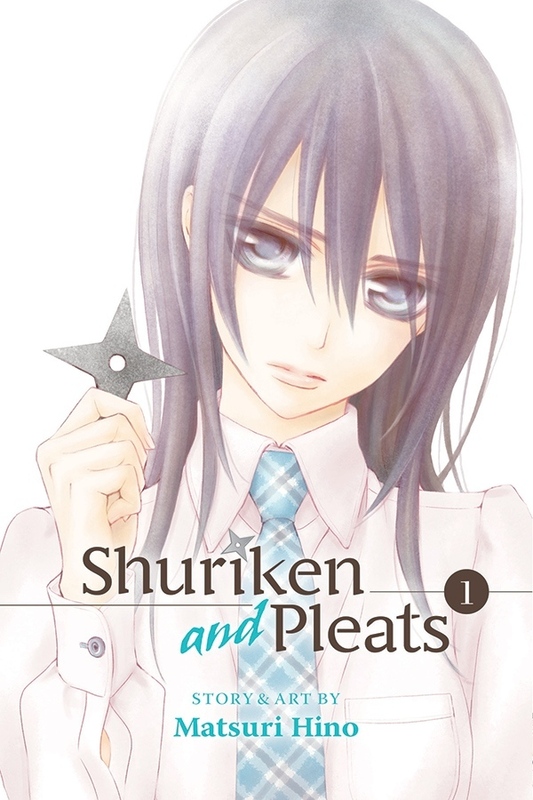 SHURIKEN AND PLEATS is rated ‘T’ for Teens and will be published in print under the Shojo Beat imprint with an MSRP of $9.99 U.S. / $12.99 CAN. The series also launches digitally on March 1st via VIZManga.com and the VIZ Manga App (iOS and Android), as well as from the Nook, Kobo, Kindle, iBooks, comiXology, and GooglePlay stores. New volumes of the series, which is ongoing in Japan, will be released twice a year. Matsuri Hino burst onto the manga scene with her debut title, Kono Yume ga Sametara (When This Dream Is Over), which was published in Japan in LaLa DX magazine. Already possessing strong artistic talent, Hino became a manga artist a mere nine months after she decided to pursue it as a professional career. With the success of her popular series, CAPTIVE HEARTS and MERUPURI (both also published by VIZ Media), Hino has established herself as a major player in the world of shojo manga. For additional information on SHURIKEN AND PLEATS or other manga titles distributed by VIZ Media, please visit www.VIZ.com. OBIT - From Variety: The actor George Kennedy has died at the age of 91 on Sunday, February 28, 2016. Kennedy had a long career and earned a best supporting actor Oscar for his role in the Paul Newman film, "Cool Hand Luke." OSCARS - From YahooMovies: The highs and lows of the 88th Oscars. From Variety: Italy celebrates Ennio Morricone's Oscar win for scoring "The Hateful Eight." From YahooMovies: No, Sam Smith, you are NOT the first openly gay person to win an Oscar. Remember Dustin Black - best screenplay winner for Milk, not to mention several others? From YahooMovies: "Spotlight" wins "Best Picture" at 88th Oscars. From YahooMovies: Leonardo DiCaprio's Best Actor win was the most tweeted about Oscar moment ever. MOVIES - From the NYT: A very funny story about diversity by Colton Dunn - "Don't Call Me the Black Seth Rogen." BOX OFFICE - BoxOfficeMojo: The winner of the 2/26 to 2/28/2016 weekend box office is "Deadpool" with an estimated take of $31.5 million. This is it's third consecutive weekend at #1. STAR TREK - From CinemaBlend: Tony Todd says that he is on an actors short list for upcoming CBS digital Star Trek series. STAR TREK - From CinemaBlend: Nicholas Meyer, the director of the beloved film, "Star Trek II: The Wrath of Kahn" has joined the new CBS series in some creative capacity. CRIME - From BuzzFlash: Public defender system in Louisiana is in full meltdown. AWARDS - From PopSugar: At the 2016 Spirit Awards, Mya Taylor becomes the first transgender actress to win a major film award. AWARDS - From Deadline: 2016 "Spirit Awards" winners; "Spotlight" dominates. OSCARS - From YahooNews: Ava DuVernay on Oscars controversy and Flint water crisis with Katie Couric. BLACK LIVES MATTER - From WashPost: Why did Cleveland sue Tamir Rice's family. MOVIES - From Variety: Patricia Arquette hosts a dinner on gender equality. Jennifer Lawrence is one of the attendees. TV - From TVLine: CBS has order a pilot for a television series based on the 2001 film, "Training Day," for which Denzel Washington won an Oscar. Bill Paxton will play the morally ambiguous cop in a re-imagining of the film. OBITS - From TheWrap: The actor Tony Burton has died at the age of 78, He is best known for portraying Apollo Creed's trainer Tony "Duke" Evers in six "Rocky" movies. OSCARS - From the VillageVoice: Spike Lee talks about the Oscars and more. OSCARS - From VillageVoice: Michael Musto: The sweet smell of scandal at the Oscars. BLACK LIVES MATTER - From RSN: I am not a super-predator. CULTURE - From BuzzFlash: St. Louis archbishop rails against Girl Scouts. OSCARS - From YahooMovies: "See You Again" from "Furious 7" not nominated - still doesn't make sense. 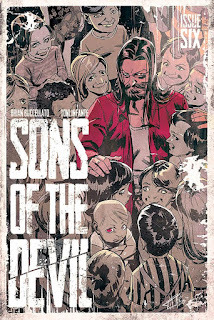 COMICS - From BleedingCool: Alan Moore's new prose novel is available for pre-order. MOVIES - From SlashFilm: For its loose booty adaptation of "20,000 Leagues Under the Sea, Disney has hired James Mangold to direct... after dumping David Fincher's take on the film. OSCARS - From Variety: Al Sharpton to lead Oscar-weekend #OscarSoWhite protests. MUSIC - From YahooCelebrity: Demi Lovato, that girl can sang. She sings Ray Charles tunes at a White House event, which will air on PBS, Friday, Feb. 26th, 2016. POLITICS - From The NYT: The Republican-controlled Senate refuses to consider any Obama Supreme Court nominee, and it's all ugly old white men, especially that gargoyle, Mitch McConnell. MOVIES - From WeGotThisCovered: "Zombieland 2" is apparently still happening. MOVIE - From Variety: Jessica Chastain and Queen Latifah are among actresses advising new female-empowered production company. MOVIE - From CinemaBlend: "Pacific Rim 2" is back on, but with a new director. MOVIES - From TheWrap: Nate Parker's acclaimed "Birth of a Nation" gets a release date, October 7, 2016 - just in time to not get any Oscar nominations. COMICS - From TheHDRoom: When "Batman Vs. Superman: Dawn of Justice hits Blu-ray, it will have an R-rating. MOVIE - From TheWrap: The 1968 Steve McQueen movie, "The Thomas Crown Affair," will get a second remake starring Michael B. Jordan. 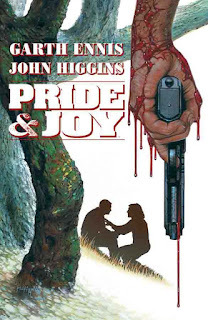 The first remake was in 1999 with Pierce Brosnan and Rene Russo. MOVIES - From Deadline: Ava DuVernay is set to direct Disney's "A Wrinkle in Time." CULTURE - From TheAtlantic: The enduring solidarity of whitness by Ta-Nehisi Coates. MOVIES - From DreadCentral: Chucky the killer doll that first appeared in Child's Play could return for a seventh film. COMICS - From HitFix: It seems there will be a "Justice League," movie, and it will start film April 11, 2016. OBITS - From Variety: The Oscar-nominated cinematographer Douglas Slocombe has died at the age of 103 (Monday, February 22, 2016). He shot "Raiders of the Lost Ark" and several of the Ealing Studios comedies, including the "The Lavender Hill Mob." MOVIES - From Deadline: Demian Bichir added to Ridley Scott's "Alien: Covenant." COMICS - From SlashFilm: In "Captain America: Civil War," Martin Freeman plays Everett Ross. OSCARS - From Variety: 5 upsets that could rock the 88th Academy Awards. COMICS - From FlickeringMyth: Set photos from Doctor Strange in London. BOX OFFICE - From BoxOfficeMojo: The number one movie at the 2/19 to 2/21/2016 weekend box office is "Deadpool," which an estimated take of $55 million. It is a repeat winner, having won last week in its debut weekend. COMICS - From CinemaBlend: The third Wolverine film, which will be Hugh Jackman's last as the title character, will be R-rated and will be based on the story "Old Man Logan." TELEVISION - From CinemaBlend: "The Walking Dead" is making a time-jump. MOVIES - From TheWrap: "The Revenant" sounds best to Cinema Audio Society. MOVIES - From Variety: Mad Max: Fury Road leads the Makeup Artists and Hairstylists Guild awards. SPORTS - From Steelersdotcom: Pittsburgh Steelers tight end Heath Miller has retired. Sigh. The 88th Oscars were presented on Sunday, February 28, 2016, at the Dolby Theatre® at Hollywood & Highland Center. The ceremony was televised live on the ABC Television Network at 7 p.m. ET/4 p.m. PT and hosted by Chris Rock. Spotlight won Best Picture. Mad Max: Fury Road was the leading recipient of statuettes with six Oscars. First given out in 1975, the César Award is the national film award of France. Some even think of the César Award as the French equivalent of the American Academy Awards (Oscars). The nominations are selected by the members of the Académie des Arts et Techniques du Cinéma, and the award ceremony is held in Paris each February. The name of the award comes from the late sculptor César Baldaccini, and the trophies are actual sculptures of the artist. The winners for the 41st Cesar Awards were announced on Friday, February 26, 2016 in Paris. American actor Michael Douglas won an Honory César. BURBANK, Calif.--(BUSINESS WIRE)--Principal photography has begun on New Line Cinema’s and Village Roadshow Pictures’ thought-provoking drama “Collateral Beauty,” being helmed by Oscar-winning director David Frankel (“Dear Diary,” “The Devil Wears Prada”). The film has been slated for release on December 16, 2016. “Collateral Beauty” features an all-star cast, including Will Smith (upcoming “Suicide Squad,” “Concussion”), Edward Norton (“Birdman or [The Unexpected Virtue of Ignorance]”), Keira Knightley (“The Imitation Game”), Michael Peña (“The Martian”), Naomie Harris (“Spectre”), and Jacob Latimore (“The Maze Runner”), with Oscar winners Kate Winslet (“The Reader,” “Steve Jobs”) and Helen Mirren (“The Queen,” “Trumbo”). Frankel is directing “Collateral Beauty” from an original screenplay by Allan Loeb (“Wall Street: Money Never Sleeps,” “21”). Loeb is also a producer on the film, together with Bard Dorros (“Triple 9”) and Michael Sugar (Oscar-nominated Best Picture “Spotlight”) under the Anonymous Content banner; Anthony Bregman (“Foxcatcher”) for Likely Story; and Kevin Frakes (“John Wick”) for PalmStar Media. Frankel’s behind-the-scenes creative team includes director of photography Maryse Alberti (“Creed”), production designer Beth Mickle (“Whiskey Tango Foxtrot”), editor Andrew Marcus (“American Ultra”) and costume designer Leah Katznelson (“How to Be Single”). A presentation of New Line Cinema and Village Roadshow Pictures, “Collateral Beauty” will be distributed by Warner Bros. Pictures, a Warner Bros. Entertainment Company, and in select territories by Village Roadshow Pictures. The 41st Cesar Awards ceremony will take place on Friday, February 26, 2016 at the Theatre du Chatelet in central Paris presided over by Florence Foresti over by French comedian and actress Florence Foresti. Hollywood star Michael Douglas is due to receive an honorary Cesar for his career at the ceremony. Film Independent’s Spirit Awards (formerly known as the Independent Spirit Awards) were founded in 1984 and are awards dedicated to independent filmmakers. Film Independent is the non-profit arts organization that produces the Spirit Awards and also the Los Angeles Film Festival. The 2016 / 31st Film Independent Spirit Awards were announced at the Spirit Awards on Saturday, February 27, 2016. The awards ceremony was held as a daytime luncheon in a tent on the beach in Santa Monica, just north of the Santa Monica Pier. The show was broadcast live exclusively on IFC at 2:00 pm PT/ 5:00 pm ET. BEST FEATURE – Award given to the producer. Executive Producers are not awarded. BEST FIRST FEATURE - Award given to the director and producer. ROBERT ALTMAN AWARD – Given to one film’s director, casting director and ensemble cast. BEST DOCUMENTARY - Award given to the director and producer. BEST INTERNATIONAL FILM - Award given to the director. 19th ANNUAL PIAGET PRODUCERS AWARD – The 19th annual Producers Award, sponsored by Piaget, honors emerging producers who, despite highly limited resources, demonstrate the creativity, tenacity and vision required to produce quality, independent films. The award includes a $25,000 unrestricted grant funded by Piaget. 22nd ANNUAL KIEHL’S SOMEONE TO WATCH AWARD – The 22nd annual Someone to Watch Award, sponsored by Kiehl’s Since 1851, recognizes a talented filmmaker of singular vision who has not yet received appropriate recognition. The award includes a $25,000 unrestricted grant funded by Kiehl’s Since 1851. 21st TRUER THAN FICTION AWARD – The 21st annual Truer Than Fiction Award is presented to an emerging director of non-fiction features who has not yet received significant recognition. The award includes a $25,000 unrestricted grant. San Francisco, CA – VIZ Media, LLC (VIZ Media), the largest publisher, distributor and licensor of manga and anime in North America, announces the home media release and debut of the official manga adaptation of POKÉMON THE MOVIE: HOOPA AND THE CLASH OF AGES in early March. The Black Reel Awards annually honor African-Americans in feature, independent, and television film. The awards also take notice of the work in film by people of color throughout the African Diaspora. The awards were launched in 2000, and this is the 16th year the awards will be handed out. The Black Reel Awards are now given out by the Foundation for the Advancement of African-Americans in Film (FAAAF). The Black Reel Awards are comprised of more than 80 voters across the country. The voters annually select and spotlight films and performances featuring African-Americans, as well as people of color throughout the African Diaspora. The 16th Annual Black Reel Awards were held on Thursday, February 18, 2016. The 88th Oscars nominations were announced on Thursday, January 14, 2016 from the Academy’s Samuel Goldwyn Theater in Beverly Hills. Oscars for outstanding film achievements of 2015 will be presented on Sunday, February 28, 2016, at the Dolby Theatre® at Hollywood & Highland Center. The ceremony will be televised live on the ABC Television Network at 7 p.m. ET/4 p.m. PT and will be hosted by Chris Rock. Image Comics Announces New Chapter of "Sons of the Devil"
SONS OF THE DEVIL #6 (Diamond code: JAN160553) hits shelves Wednesday, March 23rd, 2016. Final order cutoff deadline for retailers is Monday, February 29th, 2016. 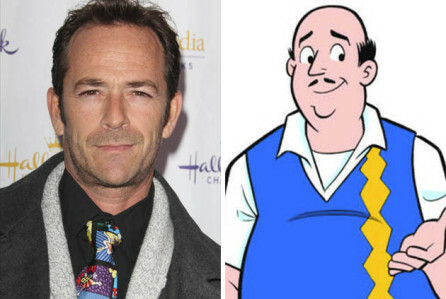 Luke Perry is Archie's Dad in Live Action "Archie" TV Series, "Riverdale"
After casting Cole Sprouse (The Sweet Life of Zack and Cody) as Jughead Jones and Lili Reinhart (Surviving Jack) as Betty Cooper in The CW’s pilot episode of the live-action “Riverdale” TV series, comes the news that the next member of the iconic Archie series is here! Luke Perry (Beverly Hills, 90210) has been cast as the father of Archie Andrews. In the exclusive announcement, Deadline described Luke Perry's Fred Andrews as "easygoing" and the owner of a construction firm who is hoping his son, who worked for him all summer, will someday take over the family business. Perry, whose series credits also include Oz, John From Cincinnati and Body Of Proof, is repped by TalentWorks and Himber Entertainment. Expect additional “Riverdale” casting news in the coming weeks. 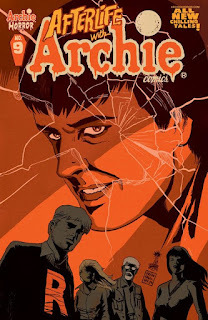 For more information about “Riverdale”, visit the official Archie Comics website. HOLLYWOOD, CA – Paramount Pictures today announced that principal photography has commenced on “BAYWATCH,” starring Dwayne Johnson (“Central Intelligence,” “Fast & Furious” franchise) and Zac Efron (“Mike and Dave Need Wedding Dates”). Production will take place in Miami and Savannah. Seth Gordon (“Horrible Bosses,” “Identity Thief”) is directing the film from a screenplay most recently written by Damian Shannon & Mark Swift and Barry Schwartz. Beau Flynn (“HERCULES”), Ivan Reitman (“GHOSTBUSTERS,”), and Michael Berk, Doug Schwartz & Greg Bonann, creators of the iconic “Baywatch” television series, are producing. The executive producers are Michele Berk, Louise Rosner ("THE BIG SHORT"), Tom Pollock, and Ali Bell. Eli Roth is a co-producer. Joining Johnson and Efron are Alexandra Daddario (“True Detective”), Priyanka Chopra (“Quantico”), Jon Bass, Kelly Rohrbach (“UNTITLED WOODY ALLEN PROJECT”), Ilfenesh Hadera (“CHI-RAQ”), and Hannibal Buress (“DADDY’S HOME”). 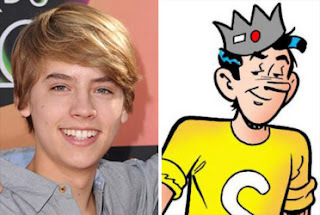 Jughead Jones and Betty Cooper Cast for Live Action "Archie" Series, "Riverdale"
San Francisco, CA – VIZ Media, LLC (VIZ Media), the largest distributor and licensor of manga and anime in North America, announces a new release of one of the anime genre’s greatest series with the debut of DEATH NOTE COMPLETE SERIES on Blu-ray on March 1st, 2016. In DEATH NOTE, Light Yagami is a genius high school student who is about to learn about life through a book of death. When a bored shinigami, a god of death, named Ryuk drops a black notebook called a Death Note, Light receives power over life and death with the stroke of a pen. Determined to use this dark gift for the best, Light sets out to rid the world of evil - namely the people he believes to be evil. Should anyone own such power? The consequences of Light's actions will set the world ablaze. DEATH NOTE, Tsugumi Ohba and Takeshi Obata's suspenseful tale of power, corruption and morality, returns for the first time on Blu-ray! 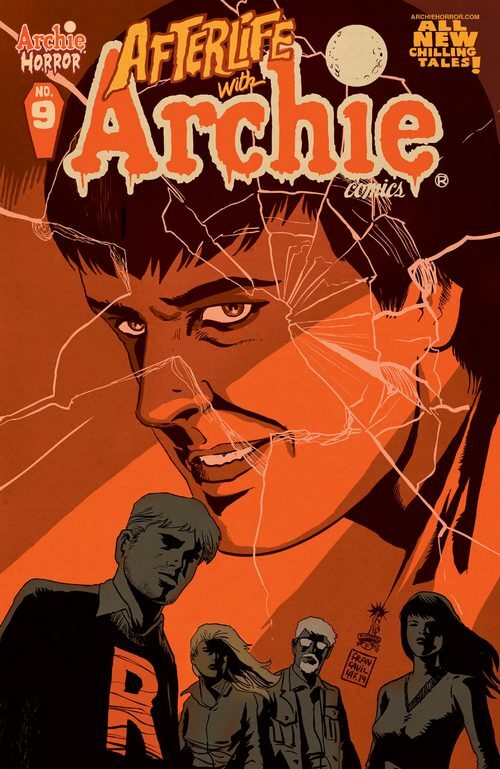 This limited edition 6-disc collector's set includes the complete 37-episode series with five language options along with two feature films (available in three languages) and hours of additional extras! This definitive set also comes with a 64-page booklet, which features the original manga pilot story that inspired the series packaged inside an exclusive chipboard box. Three hours of additional extra content includes interviews with the Japanese creators, behind-the-scenes footage of the English and Japanese voice cast, production art, audio commentary and much more! Comic Books, Celebs, Cosplay & More! BIG APPLE CON proudly hosts a full “Artists Alley” of comic book and trading card creators, illustrators & writers, including: Neal Adams (Batman, Green Lantern/Green Arrow), Jim Steranko (Captain America, Nick Fury: Agent of SHIELD), Ramona Fradon (Super Friends, Aquaman), Mark Texeira (Ghost Rider, Wolverine), Rich Buckler (Deathlok, Fantastic Four), Erik Larsen (Savage Dragon, Spider-Man), David Lloyd (V For Vendetta, Aces Weekly), Reilly Brown (Deadpool, Daredevil), Joseph Michael Linsner (Cry For Dawn, Vampirella), Sean Chen (Iron Man, Valiant Comics), John Cebollero (Batman, Captain America), and Brian Kong (Cryptozoic Entertainment, Leaf Trading Cards). Special panel programming will feature the 50th anniversary of the Batman TV show, the first appearance of Marvel's Black Panther, the history of Charlton Comics, Star Wars, the Winter Indie Film Awards animated shorts, and NY Jedi. Captain Zorikh's Costume Contest will once again bring the most amazing costumers and Cosplayers together for a fast-paced, exciting show of creative excellence! Come as any character in comics, sci-fi, fantasy, horror, cartoons, anime/manga, video games, or make up your own! Valuable prizes to be awarded by audience applause. PLACE: Penn Plaza Pavilion ~ 401 7th Ave. @ 33rd St.
SALT LAKE CITY--(BUSINESS WIRE)--Salt Lake Comic Con (http://saltlakecomiccon.com/) announced today that English actress Kate Beckinsale is the latest in a long line of exciting celebrity guests attending FanX™ 2016. Salt Lake Comic Con FanX16 will be the first comic con fan event where Kate Beckinsale will be available for Photo Ops and Autographs with fans. The event is scheduled for March 24-26, 2016 at the Salt Palace Convention Center. FanX™ is produced by the same team behind Salt Lake Comic Con, which established itself as one of the top pop culture events in North America and the most attended convention in the history of Utah. The attendance numbers and quality of the fanXperience have grown with each subsequent show. Beckinsale is best known to comic con fans for her starring role as the vampire Selene in the action-horror “Underworld” film series, which grossed nearly $500 million at the box office. Other notable roles include Ava Gardner in the Oscar-winning biopic “The Aviator,” Nurse Lt. Evelyn Johnson in the war film “Pearl Harbor,” Lori Quaid in the sci-fi reboot “Total Recall,” and many others. Beckinsale will reprise her role as Selene in “Underworld: Next Generation,” due in theaters October 14, 2016. She also attended University of Oxford, is fluent in four languages and was named Esquire’s Sexiest Woman Alive in 2009. Previous FanX™ 2016 guest announcements include Gillian Anderson, George Takei, Norman Reedus, Matt Smith, Buzz Aldrin, Peter Facinelli and Levar Burton. The third annual FanX™ is an exclusive event for Salt Lake Comic Con fans designed to give attendees an up close and personal FanXperience with their favorite pop culture icons. In addition to celebrity guests, FanX™ will feature comicbook artists and creators, authors, panelists, and more. There are more celebrity guests and panel programming per square feet than the bigger event in the fall, with over 400 guests and panelists. FanX™ 2016 is the first event of the year, with Salt Lake Comic Con 2016 scheduled for September. Both events feature incredible FanXperiences. Celebrity Stars pose for Photo Ops and sign Autographs for fans, as well as share stories and answer questions at a Spotlight Panel. Famous Authors and Artists will also be on hand to meet fans and sell prints and books they will personally sign. Hundreds of hours of Panels will take place over the weekend, covering a wide range of pop culture topics. The Vendor Hall features hundreds of booths selling collectibles, clothes, exclusives, and other geeky merchandise. The youngest fans will find a place to meet kid-favorite characters, participate in family-friendly activities, and make arts and crafts in the KidCon section of the event. There will also be other Special Events scheduled over the weekend, including parties, nightlife, exclusive paid panels, meet-and-greets and more. For more information about FanX™ 2016 or to buy tickets, visit the Salt Lake Comic Con website at http://saltlakecomiccon.com/. Attendees will save $10 by purchasing online before the event. Learn more about what there is to see and do at FanX™ by visiting http://saltlakecomiccon.com/fanx-xperiences/. PRIDE & JOY (ISBN: 978-1-63215-801-7) hits comic book stores on Wednesday, May 4th, 2016 and bookstores on Tuesday, May 10th, 2016 and will be available for $14.99. It can be ordered by retailers from Diamond Book Distributors with Diamond code MAR160648. It can be preordered now on Amazon, Barnes & Noble, and Indiebound. LOS ANGELES--(BUSINESS WIRE)--Tune in Tuesday, February 23, 2016 as BET partners with American Black Film Festival (ABFF) to air “ABFF Awards: A Celebration of Hollywood” at 8P/7C. This first-ever televised award shows tributes film legends and TV’s hottest stars. Hosted by Mike Epps, the two-hour event honors Don Cheadle, Regina King, Ryan Coogler, Diahann Carroll and Will Packer for their achievements in entertainment. Don’t miss special appearances by Jamie Foxx, Robert Downey Jr., Kerry Washington, Octavia Spencer, Loretta Devine, KeKe Palmer, Anthony Anderson and more! 2014 Best Picture Oscar Winner, “12 Years A Slave,” makes its basic cable premiere on BET Networks to wrap up Black History Month. The movie premieres Saturday, February 27, 2016 at 8:00 p.m. ET/PT. The film is based on an incredible true story of one man's fight for survival and freedom. In the pre-Civil War United States, Solomon Northup (Chiwetel Ejiofor), a free black man from upstate New York, is abducted and sold into slavery. Facing cruelty as well as unexpected kindnesses, Solomon struggles not only to stay alive, but to retain his dignity. In the twelfth year of his unforgettable odyssey, Solomon's chance meeting with a Canadian abolitionist forever alters his life. The OFCC announced its 10th annual awards winners in early January of 2016. Best Actor – Leonardo DiCaprio, "The Revenant"
Best Actress – Brie Larson, "Room"
Best Animated Film - "Inside Out"
Best Body of Work – Alicia Vikander, "Ex Machina," "The Danish Girl," "Testament of Youth," "Burnt"
Best Director – George Miller, "Mad Max: Fury Road"
Best First Feature – Alex Garland, "Ex Machina"
Best Original Screenplay - "Spotlight"
Best Adapted Screenplay – Charles Randolph and Adam McKay, "The Big Short"
Best Supporting Actress – Alicia Vikander, "Ex Machina"
Most Disappointing Film – "Tomorrowland"
VIZ Media Announces the Release of "Legend of the Galactic Heroes, Vol. 1"
San Francisco, CA – VIZ Media’s Haikasoru literary imprint announces its first release of 2016 with the North American publication of author Yoshiki Tanaka’s epic space opera/military sci-fi novel, LEGEND OF THE GALACTIC HEROES, on March 8th, 2016. LEGEND OF THE GALACTIC HEROES, VOLUME 1: DAWN is the first in the author’s celebrated series set to be released by Haikasoru, with Volumes 2 and 3 debuting this summer and fall, respectively. LEGEND OF THE GALACTIC HEROES, VOLUME 1: DAWN will debut in print with an MSRP of $15.99 U.S. / $18.99 CAN. An eBook edition will debut on March 8th for the Amazon Kindle, Apple’s iBooks Store, Barnes & Noble’s Nook Book Store, the Kobo eBooks Store, and the Google Play store. An audiobook version, read by Tim Gerard Reynolds, will debut the same day through Simon & Schuster Audio with an MSRP of $23.99 U.S. In the thirty-sixth century humanity has conquered the galaxy and colonized countless star systems. The Galactic Empire, modeled along Prussian lines, and the democratic Free Planets Alliance are at war, and the fate of every human being in the universe hangs in the balance. This classic Japanese space opera, adapted into a legendary anime, is finally available in English for the first time. In the opening novel of the series, “The Golden Brat,” Reinhard von Lohengramm, is a military prodigy and admiral of the Galactic Empire and has ambitions beyond protecting the borders or even defeating the Empire’s enemies. He seeks to overthrow the old order and become a truly absolute – yet benevolent – dictator. His rival, the humble Yang Wen-li of the Free Planets Alliance, wishes to preserve democracy even if he must sacrifice his political ideals to defeat the Empire. Their political and military battles play out over a galactic chessboard in an epic saga fifteen centuries in the making! Author Yoshiki Tanaka was born in 1952 and won the Gen’eijo (a Japanese mystery magazine) New Writer Award in 1978 for his debut story, “Midori no Sogen ni…” (On the Green Field…), which launched his career as a science fiction and fantasy writer. LEGEND OF THE GALACTIC HEROES: DAWN translates the European wars of the 19th Century to an interstellar setting and won the prestigious Seiun Award for Best Science Fiction Novel in 1987. Tanaka’s other works include the fantasy series, The Heroic Legend of Arslan, and numerous other science fiction, fantasy, historical, and mystery novels and stories. For more information on LEGEND OF THE GALACTIC HEROES, other releases from the Haikasoru imprint, please visit www.haikasoru.com. ST. LOUIS - Wizard World, Inc. (OTCBB: WIZD) continues its 2016 schedule with its fourth trip to America’s Center at Wizard World St. Louis, April 1-3, 2016. “Doctor Who” stars David Tennant and Billie Piper, Elizabeth Henstridge (“Agents of S.H.I.E.L.D.”), William Shatner (“Star Trek,” “Boston Legal”), Sean Schemmel ( Dragon Ball Z), Steve Downes and Jen Taylor (“Halo”), Lou Ferrigno (“The Incredible Hulk,” “The King of Queens”) and Jason David Frank (“Mighty Morphin Power Rangers) headline the roster of celebrity guests scheduled to attend the pop culture extravaganza, the fifth event on Wizard World's calendar of comic and gaming cons in 2016. 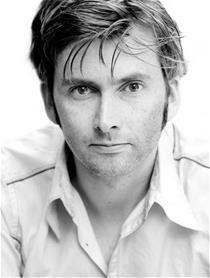 Tennant will attend on Saturday, April 2, only. Shatner will appear on Friday and Sunday; Piper, and Henstridge are scheduled for Saturday and Sunday; Schemmel, Downes, Taylor, Ferrigno and Frank will appear all three days. Additional celebrities will be announced in the coming weeks. Other well-known Wizard World St. Louis guests include YouTube celebrities The Hillywood Show and Chris 51 (“Epic Ink”). The event will also feature major gaming activations and an eSports tournament streaming stage (www.wizardworldgaming.com). Wizard World is also the home of the most creative comics artists and writers on the planet. 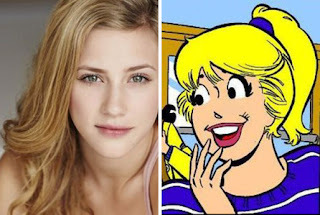 Artist Alley in St. Louis will feature Ken Kelly (“Kiss” album covers, “He-Man”), Phil Ortiz ("The Simpsons," “Muppet Babies”), Billy Martin (“TMNT,” lead guitarist, Good Charlotte), Tom Cook ("He-Man," "She-Ra"), Bob Camp ("Ren and Stimpy," "G.I. Joe”), Clinton Hobart (Disney fine art), Jose Delbo (“Superman,” “Batman”), Andrew Griffith (“Transformers,” “Star Wars”), Rachael Stott (“Twelfth Doctor Year 2,” “Star Trek”), Guy Gilchrist (writer/cartoonist, “Nancy,” “Muppet Babies”), Danny Fingeroth (group editor, “Spider-Man”) and many others. Wizard World comic and gaming con events bring together thousands of fans of all ages to celebrate the best in pop-fi, pop culture, movies, graphic novels, cosplay, comics, television, sci-fi, toys, video gaming, gaming, original art, collectibles, contests and more. Wizard World St. Louis show hours are Friday, April 1, 3-8 p.m.; Saturday, April 2, 10 a.m.-7 p.m., Sunday, April 3, 10 a.m.-4 p.m.
Wizard World is also the place for cosplay, with fans young and old showing off their best costumes throughout the event. Fans dressed as every imaginable character – and some never before dreamed – will roam the convention floor. The famed Wizard World St. Louis Costume Contest will take place on Saturday night. For more on the 2016 Wizard World St. Louis, visit http://wizd.me/StLouisPR. Wizard World, Inc. (www.wizardworld.com) produces comic, gaming and pop culture conventions across North America that celebrate the best in pop-fi, pop culture, movies, television, cosplay, comics, graphic novels, toys, video gaming, sci-fi, gaming, original art, collectibles, contests and more. A first-class lineup of topical programming takes place at each event, with celebrity Q&A's, comics-themed sessions, costume contests, movie screenings, evening parties and more. Wizard World has also launched Wizard World Store (www.shopwizardworld.com ), CONtv, a digital media channel in partnership with leading independent content distributor Cinedigm™ (NASDAQ: CIDM), and ComicConBox™ (www.comicconbox.com), a premium subscription-based monthly box service. Fans can interact with Wizard World on Facebook, Twitter, Pinterest, Instagram and other social media services.